Here we are, again…Holiday Season! Happy All Saints Day, everybody! 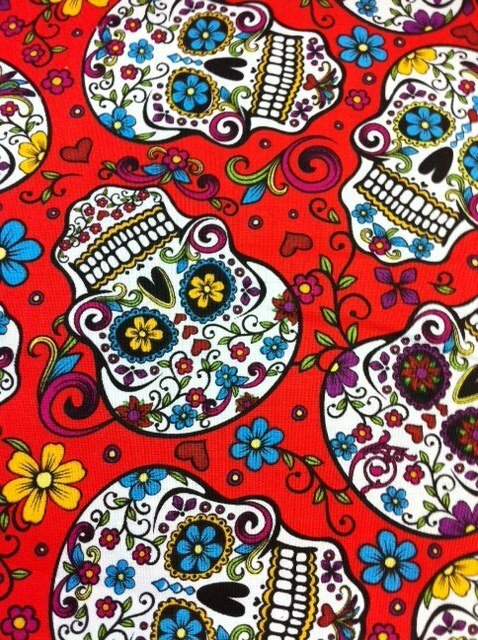 Or Dia de los Muertos for my Mexican friends. The best way to be green NOW is to reuse any decorations that can be safely stored away for next year…might as well save the money by recycling those plastic spiders and disembodied hands and orange/black/glow-in-the-dark “garland” strands, too. If you had a jack-o-lantern, go ahead and keep it on display as “harvest art” until it gets too gross to leave on your porch or starts attracting flies. Here in Texas, jack-o-lanterns don’t have very long shelf lives since it’s pretty warm, still, but northern states… what with your seasonally cooler weather (I’m only a wee bit jealous)… can have a cut pumpkin that stays pretty “fresh” for a few weeks. Whenever you are ready to say goodbye to Mr. Jack, go ahead and send him to your compost pile so he can return from whence he came and become fertilizer for your spring garden. If you didn’t do it this year, save those pumpkin seeds when you carve your pumpkins and roast them in the oven for some tasty, healthy snacks. Also, something to consider next year is choosing as many “harvest-themed” Halloween decorations so they can last longer and be on display right up until Thanksgiving. It’s easy, right? Think gourds, pumpkins, corn stalks, hay bales, etc. You can still go down a fright-themed path by making a scarecrow, other “people” made from clothes stuffed with hay, ghosts from fabric which can be washed and saved again for next year (or even sheets/tablecloths/towels that go back to being sheets/tablecloths/towels), and creatively painted/stacked haybales to make giant spiders, tunnels, or mazes. When these things are ready to be replaced by Christmas decorations, they can all be composted or otherwise used without finding their way into a landfill or negatively impacting the environment at large. Many gourds and dried corn can last in storage for years, as long as they are fully dried and kept dry when they are stored. It is probably best to use a plastic storage bin for such things, to avoid attracting mice that might sniff out a delicious harvest treat if they are stored in a cardboard box. I know, I know, I normally don’t recommend plastic, but storage bins are something that can last for a very, very long time—I have some that must be over 15 years old and won’t have to be replaced any time soon as far as I can tell. I also have a wreath with multi-colored dried corn on it that has stayed presentable for about 10 years…not a single mouse nibble! Depending on your hay source and your yard or garden conditions, some people use hay as a way to protect bare spots from the erosion of winter rains, to act as an insulator/water gatherer for fallow garden plots (much in the way of mulch), or even as a means to get grass growing instead of just sowing grass seed. In the case of growing grass, you will end up growing whatever kind of grass the hay was before it was cut (obvious, right?) so…if you don’t know what kind of hay you have or where it came from, you might want to forgo this usage if you care about having a nice, weed-free lawn. I don’t, personally, but some people do…just be warned. I could tell you all about the artificial colors and preservatives in your Halloween candy and how awful they are for you and your kids, but…I bet you kind of already know candy’s not the best thing to eat, and I bet you also know that a short-term intake of such things probably won’t do a lot of damage in the long run. So. No Halloween Scrooge today. Maybe in a few days after that picked-over bowl of candy’s not looking so tempting anymore. Until then…I will be noshing on a few Reese’s cups, myself. YUM!